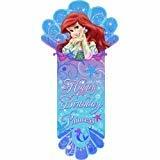 Let your little princess dream big on her birthday and decorate the party with a Little Mermaid hinged banner! 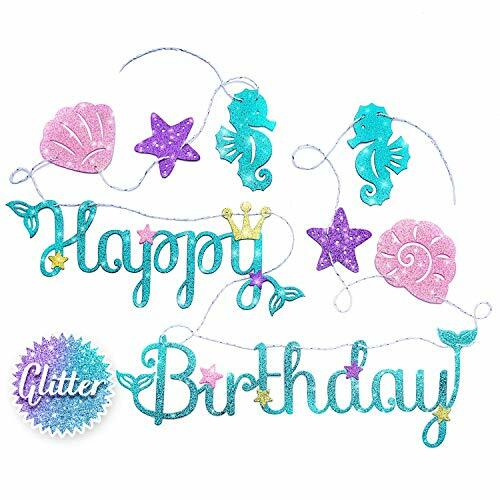 This bright and colorful cardstock design spells Happy Birthday and features Princess Ariel, Flounder and other characters from the Little Mermaid! 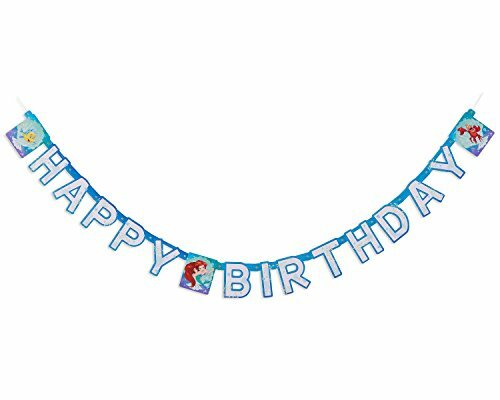 Measuring 7.59 ft. across and with attached strings, this birthday banner is easy to hang outside to bring attention to the event or inside to enhance party decor! 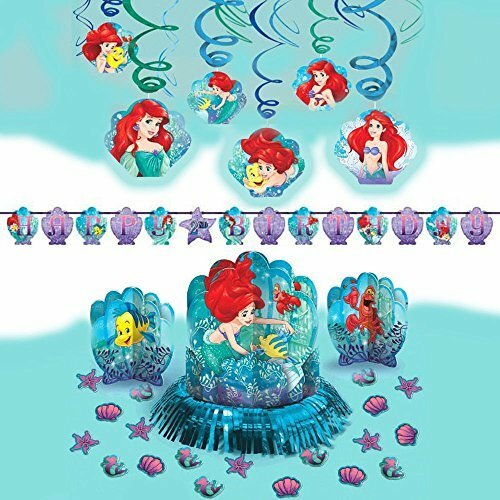 Coordinate with other Little Mermaid-themed tableware and decorations for the best party setting under the sea!. 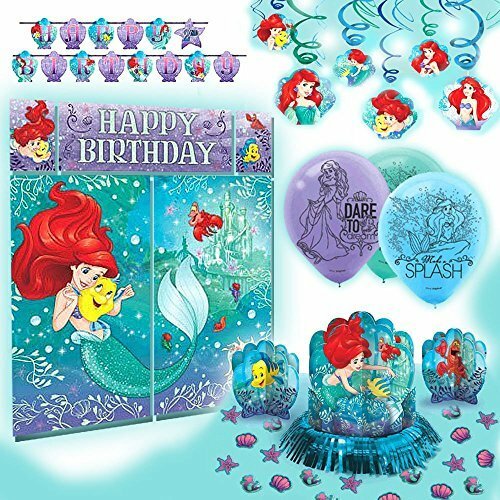 Perfect for Disney Ariel fans and fantastic for any celebration this decoration kit will look great wherever you use it. 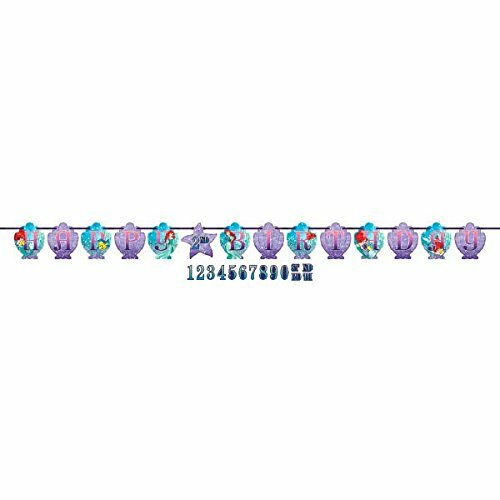 Bring a little bit of ATLANTICA to your little mermaid party with our Disney Ariel dream big ribbon letter banner to your princess big day. 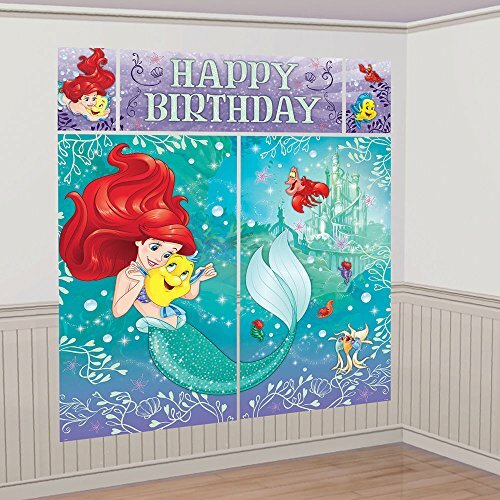 Hang the Little Mermaid Birthday Banner on a wall or door to celebrate the birthday girl. 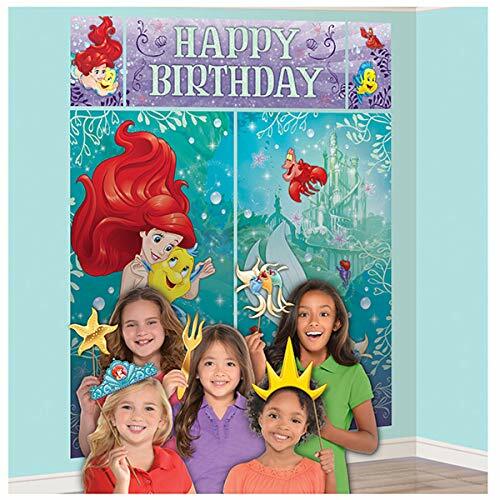 This blue and purple banner is 29 x 39.5 and features Ariel in front of a seashell backdrop and above the words Happy Birthday Princess.